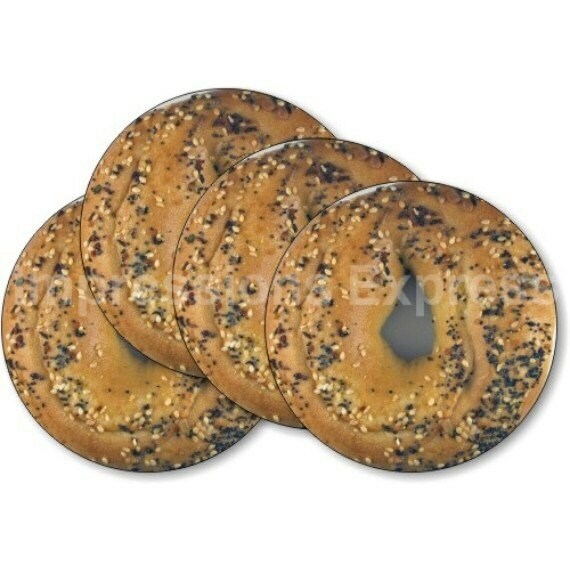 The image on all four coasters in this set is a high resolution photo of a real bagel. The design is imprinted (not decoupaged) onto the four coasters using dye (instead of ink), heat and pressure. The image is in the surface of the coaster. 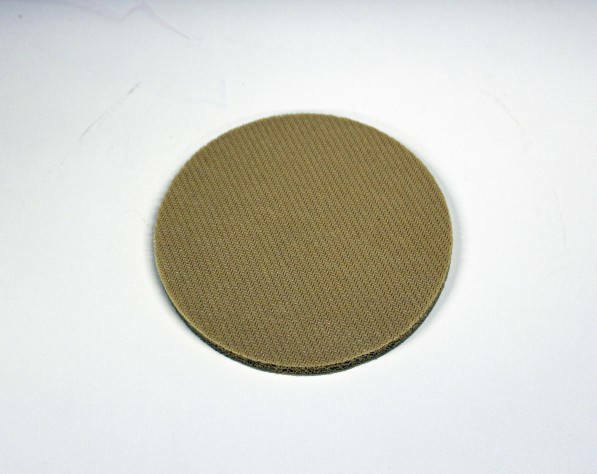 These 4 inch diameter coasters are made of a durable heat-resistant polyester fabric top, backed with a tan colored neoprene rubber non-slip backing. 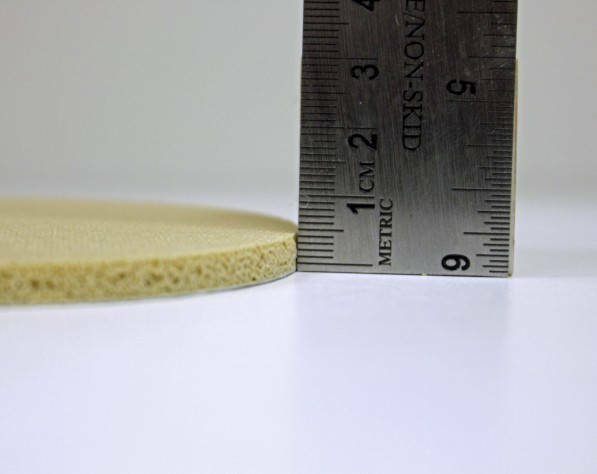 Each coaster is 1/4 inch thick and will not discolor or fade. They can be washed in cold water and air-dried. 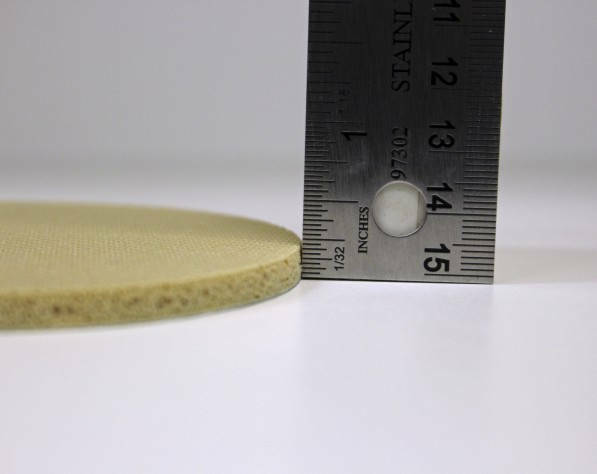 If you need more of these coasters in the set (perhaps a set of 5 or 6) please contact us and we will be happy to set up a special listing just for you to match your requirements. Each coaster set is made to order but ships within 1 business day. We do not work on weekends. All orders are usually made within 12 hours of receiving payment on a normal business day. Adorable!!!! Exactly what I needed for little Christmas appreciation gifts.